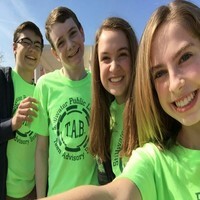 TAB is open to teens in grades 7-12. If you know what you want to see in the Stillwater Public Library, have suggestions for titles to add to the collection, or want to help plan future programs, this group might be for you! TAB meetings are generally the first Monday of the month through the school year from 5 – 6 p.m. There are many different ways you can participate so give it a try!